Almonds are familiar to many people as a healthy food, but what exactly are the health benefits of almonds? Rich in many compounds that can be lacking in a Standard American Diet (appropriately abbreviated S.A.D. ), almonds can be a tasty solution to many of the chronic health conditions and diseases that are seen today. 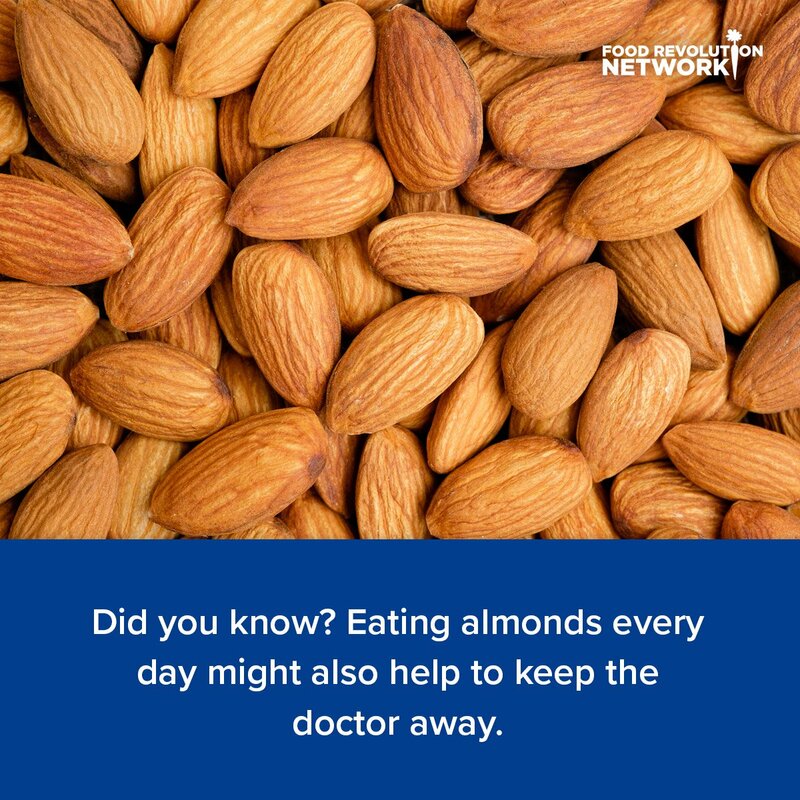 Almonds are one of those nutrient-dense foods that can be hard to stop munching on once you’re crunching on the first one or two. Whether you’re sipping on a glass of creamy homemade almond milk, taking your first bite of strawberry-topped almond meal pancakes, or enjoying stir-fry sprinkled with slivered almonds, you’re not just satisfying your appetite, you’re deliciously optimizing your health. 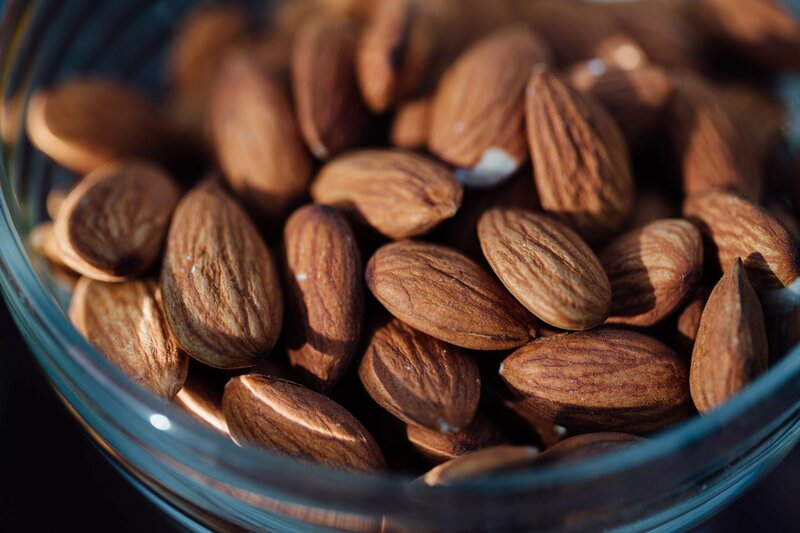 Seeds carry all of the nutrients and genetic information required to grow and develop, so too does the almond bring vital health knowledge in the form of antioxidants, heart-healthy fats, protein, and inorganic compounds, including minerals, which are crucial to life as we know it. How can something so small have effects so large when it comes to addressing serious health concerns? While we may never know the full biochemical explanations behind each way the almond fulfills its triumphant quest for homeostatic health, we can continue to sing its praises and enjoy a handful a day without remorse. According to the CDC, over 600,000 people succumb to heart disease every year, which accounts for roughly 25% of the total annual deaths. So why don’t doctors prescribe a daily handful of almonds instead of a pharmaceutical for cholesterol issues? High cholesterol has been seen as a primary cause of heart disease and is often treated with a class of drugs called statins. While statins shut down the enzyme pathway that synthesizes cholesterol, they also wipe out the highway to producing CoQ10 (an essential enzyme for producing energy in the body), and sometimes that damage is irreversible. But naturally, there is a much safer solution that can be grown at home, purchased at the local grocery store, or health food store. One of the clinical studies on almonds and improvements in HDL cholesterol used only 10g of almonds per day, which is roughly 12-15 almonds, and this study was in patients who had pre-existing coronary artery disease. Not only did HDL cholesterol improve, but there were reductions in triglycerides, total cholesterol including LDL cholesterol and VLDL (very low-density lipoprotein), and the atherogenic index, which is strongly correlated with chronic inflammation and the development of vascular diseases [Jamshed, 2015]. Another health crisis emerging onto the global stage is type 2 diabetes, which is justly titled a pandemic [Hu, 2015]. The number of people worldwide projected to have type 2 diabetes by 2035 is almost 600 million. What a staggering statistic, and that’s not even considering the health care costs associated with diabetes. While an imbalanced diet can be a causative factor in type 2 diabetes, nutritional improvements can reverse some of the harmful changes. Diabetes is a disease of improper glucose (sugar) metabolism and is generally preceded by a cluster of conditions called metabolic syndrome. 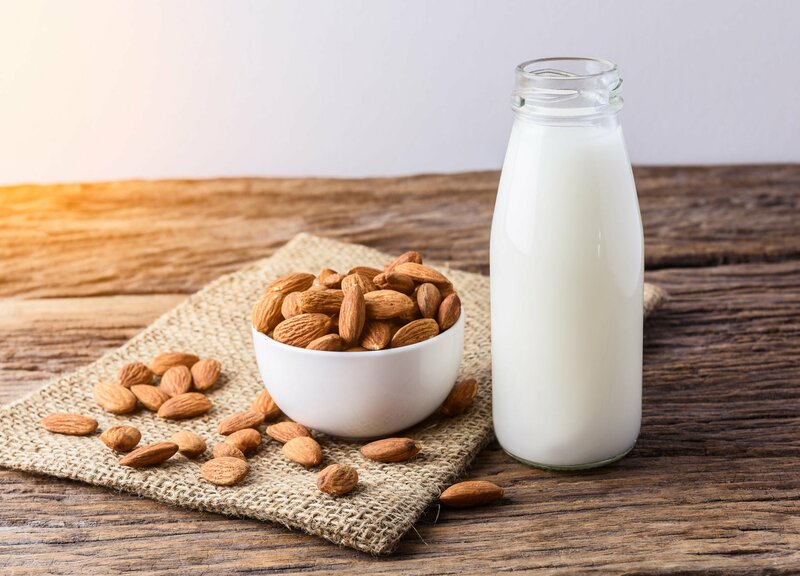 While the pharmaceutical model may target a disease from one pathway or direction, the almond has innumerable approaches to countering imbalance and restoring homeostasis. Consuming just 60g (about 2 ounces) of almonds daily for four weeks showed reductions in insulin resistance, fasting insulin, and glucose. Other health outcomes that demonstrated improvements were cholesterol ratios, body fat percentage, and nutritional status (magnesium, fiber, fatty acid profile, etc.) [Sing-Chung, 2011]. The doctrine of signatures, dating back to the first century AD, is upheld in the carrot and almond’s uncanny resemblance to the human eye. While carrots may be the best-known food that benefits the eyes, almonds have their own pedestal to stand on. Not just an adjective for eye shape, almonds are incredibly important for proper functioning of our eyes. Our eyes are exposed to numerous chemicals and toxins that evade our five sense detection. The vasculature of our eyes contains some of the smallest blood vessels in our body, and when damage occurs, repair can be difficult, if not impossible. Rich in vitamin E, almonds can help prevent abnormal changes to the lens, which can accelerate the development of cataracts. A study conducted in Finland concluded that, “a low plasma vitamin E level (lower quartile) was associated with a 3.7-fold excess risk (95% confidence interval 1.2-11.8) of the progression of early cortical lens opacities compared with the highest quartile (p = 0.028)” [Rouhiainen P, 1996]. We know the old adage, “an apple a day, keeps the doctor away,” but imagine what an apple covered in almond butter would do to the pharmaceutical industry. In a 2015 study, eating ⅓ cup of almonds (43g) with breakfast, lunch, dinner, or as a standalone snack reduced blood sugar, and the snacking group of participants actually showed the largest decrease. It’s best to find imported Italian or Spanish almonds and sprout them for several hours or overnight (read more here). Depending on which health outcome you’re searching for, a mere 10-60g of almonds (the range used in the aforementioned studies) incorporated into your diet can ameliorate type 2 diabetes, cardiovascular disease, eye issues, and many other health conditions. Food should taste good, but more importantly, it should relay valuable biologic information that with each bite can positively affect our state of being. So keep almonds in your desk, purse, backpack, cupboard, and close to your heart because they’ll be protecting yours. In the last decade, it has become difficult to find healthy, raw, organic almonds. Almonds grown in the U.S. make up 80% of the world’s almond supply. But in 2007, the USDA made it a requirement that all almonds commercially sold in the U.S., Canada, and Mexico must be pasteurized. If they’re not steamed, they must be fumigated with a chemical called propylene oxide or PPO. 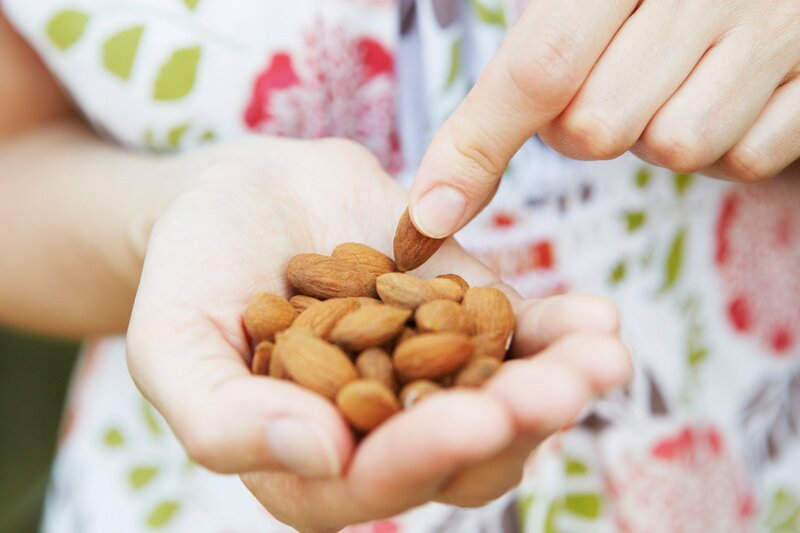 Pasteurized almonds and almond butter may still confer significant health benefits — but if you prefer truly raw almonds, what’s the best option? You may find almonds that claim to be “raw,” but companies can make this claim, even if it isn’t true because no labeling requirement exists. In reality, “raw” may simply mean pasteurized with steam, as opposed to the “roasted” flavor in roasted almond butter. 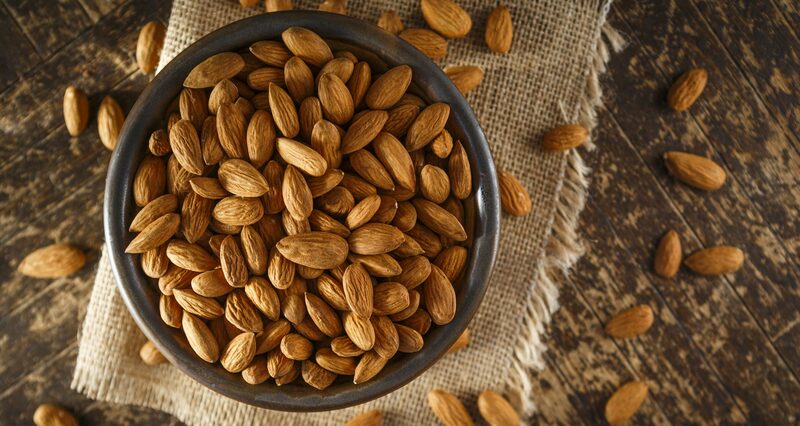 If the almonds you find are grown in the U.S., most likely they are pasteurized. If you want truly raw almonds, you may have to choose almonds that are imported from Spain or Italy because they are not subject to these same requirements. As pointed out in a GreenMedInfo article, there is one “secret” exception to the U.S. mandate about almond pasteurization. The only way to purchase raw, unpasteurized almonds grown in the U.S. is to buy directly from the farmer who grows them. The author mentions Bremner Farms as an option for raw, organic, unpasteurized almonds and other nuts. You can find other options online as well — including potentially through a farmer’s market. How do you like to eat almonds?